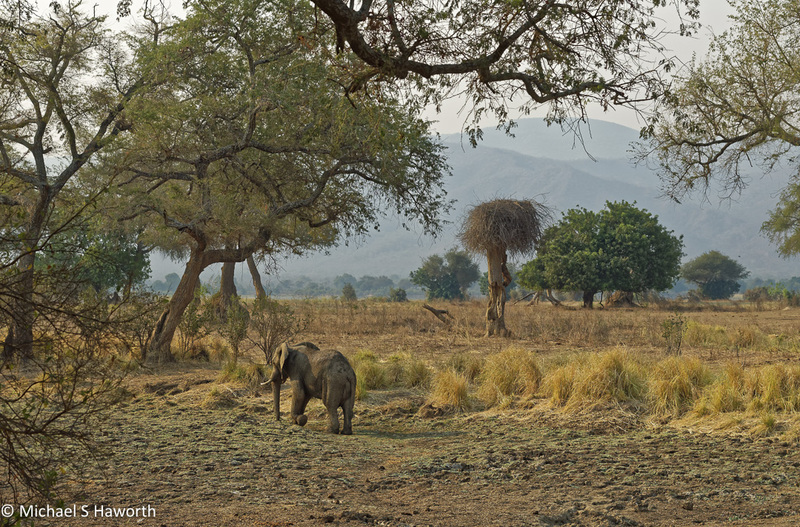 For a wildlife photographer, Mana Pools is a unique environment in which to photograph wildlife and landscapes. Not only is there an abundance of wildlife but the lighting in the forest and early in the mornings and evenings can be exceptional. In the mornings the light filters through the forest canopy. It creates a wonderful enchanted, moody light. Depending on the direction you are photographing you can capture the “Mana blues”. In the early mornings and late afternoons the light streams through the trees and in many cases under the trees’ browse line. 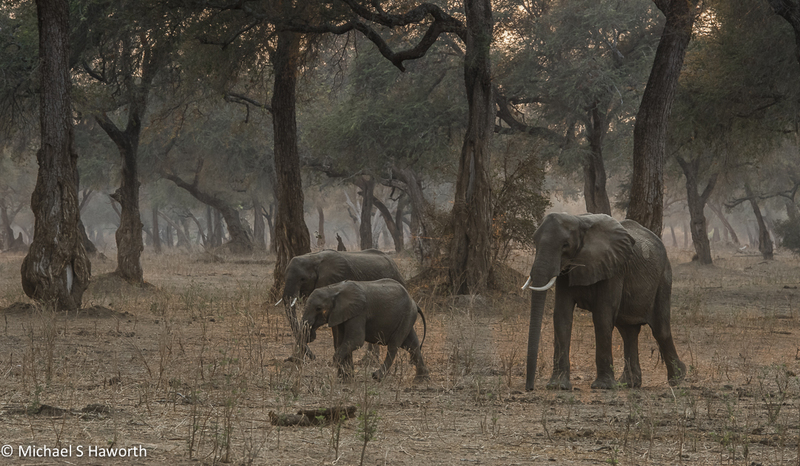 The wildlife, mainly elephants, have created a relatively high browse line which allows the light underneath the canopy. The trees also diffuse the light creating that mystical enchanted feeling. Much of our photography was done in the early mornings and late afternoons because of the heat and deep contrast created by the harsh overhead sunlight in the middle of the day. The next image is of the early morning sun, around 7h00, shining through the top of the trees, but not quite getting to the ground. We were fortunate to experience two mornings which were very hazy. The haze was thick enough to photograph directly into the sun. That browse line again, but there are times when it helps to frame the scene. Shooting directly in the direction of the sun in the early morning. Although the contrast had not yet fully intensified, the light in the forest was illuminated. 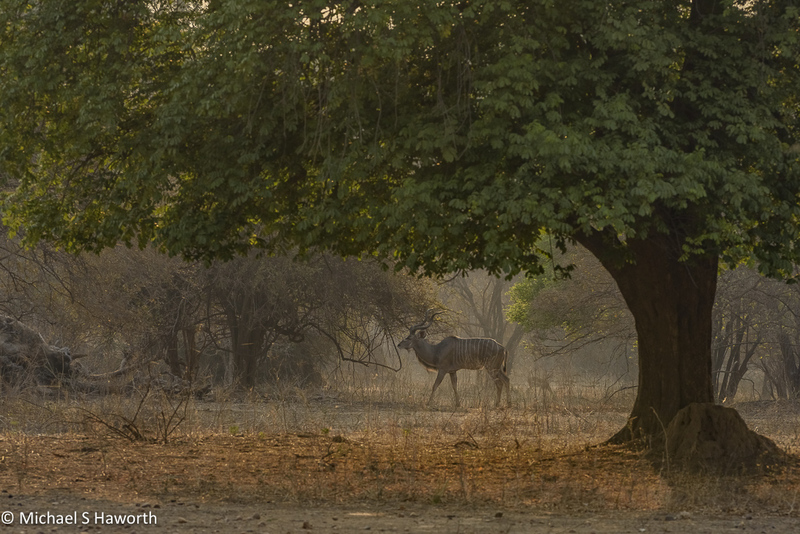 Even when there was no direct sunlight on our subjects, the early morning light was soft enough to saturate the colours of the trees, bushes and grasses. The soft colours gave the scene a very gentle feel. 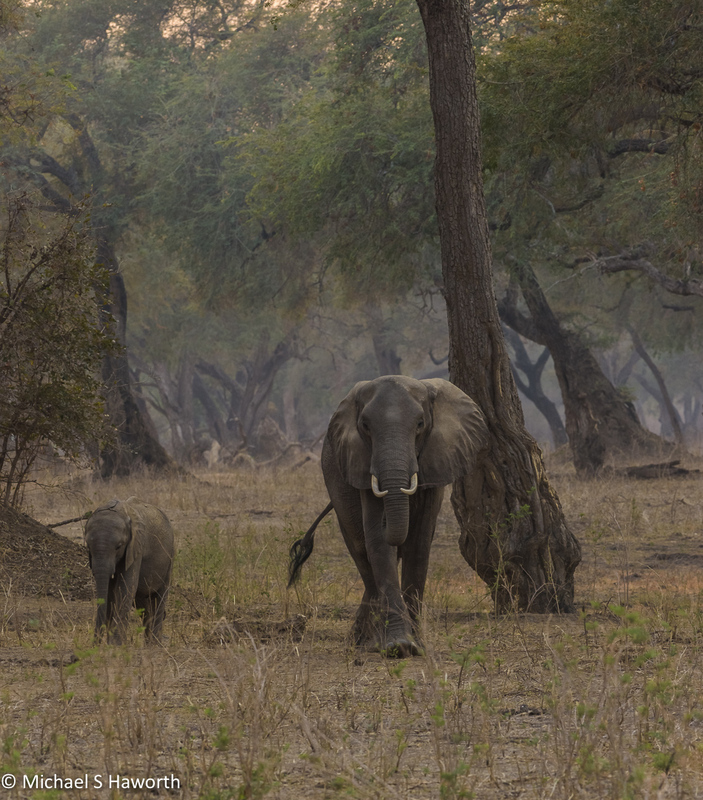 The same mother and her calf in the previous image began walking towards us. An unusual aspect of Mana is that you can get off your vehicle and walk around, into the forest if you wish. At all times you need to show the wildlife great respect and be able to read its behaviour which is why coming straight out of city life you need a guide to be able to do the reading for you. Backlighting in the morning. 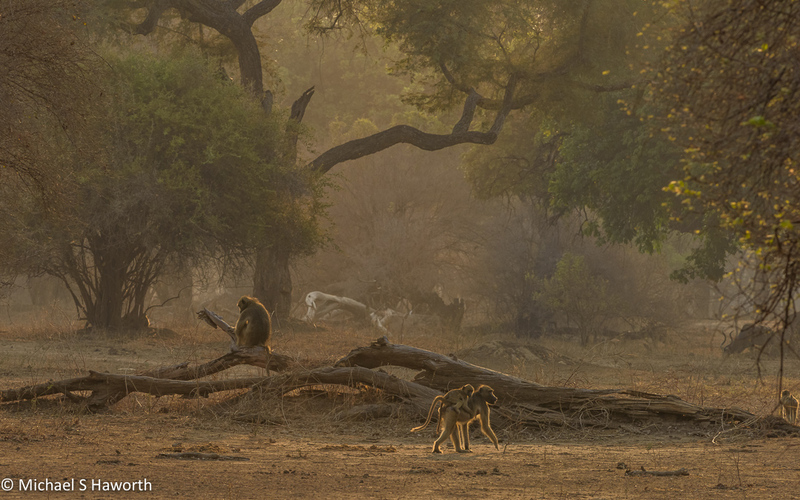 A baboon troop had come down from the trees where they had slept the previous night and began foraging on the forest floor. The illuminated ring lighting contrasted our subjects with the diffused light in the forest background. 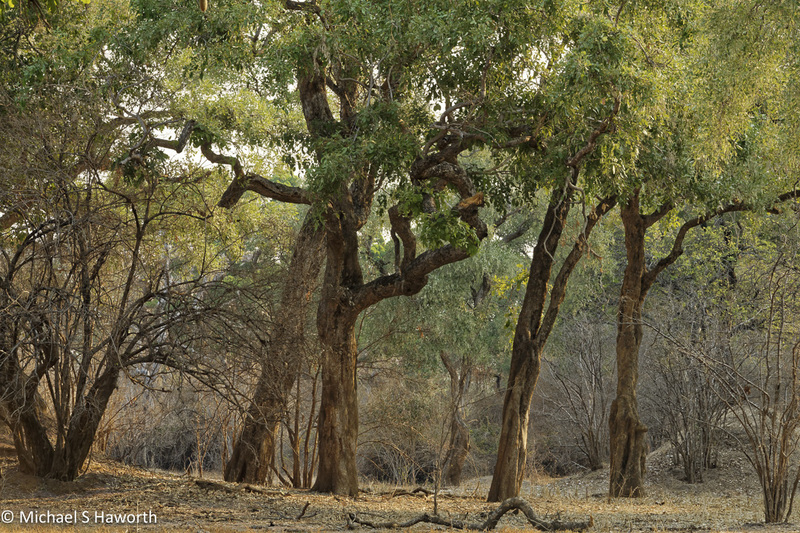 Most of the wildlife tries to stay in the shade because it is so hot in the direct sun between 10h00 and 16h00. 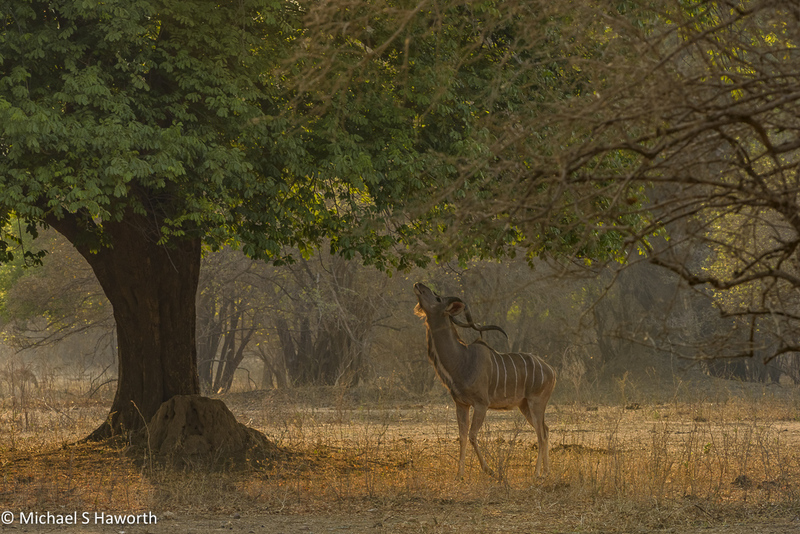 The light in the middle ground silhouetted this kudu bull browsing on the tree’s leaves. Another early morning scene looking into the sun hidden behind the trees. The direct light filtering through the forest in the background casts a blue haze. It was warm but fresh, a wonderful time of the day. In the afternoon around 16h30 down near the river this large bull elephant was making his way west in the direction of the sun. The terrain around the river, on the Zimbabwe side, is flat because it is a flood plain. 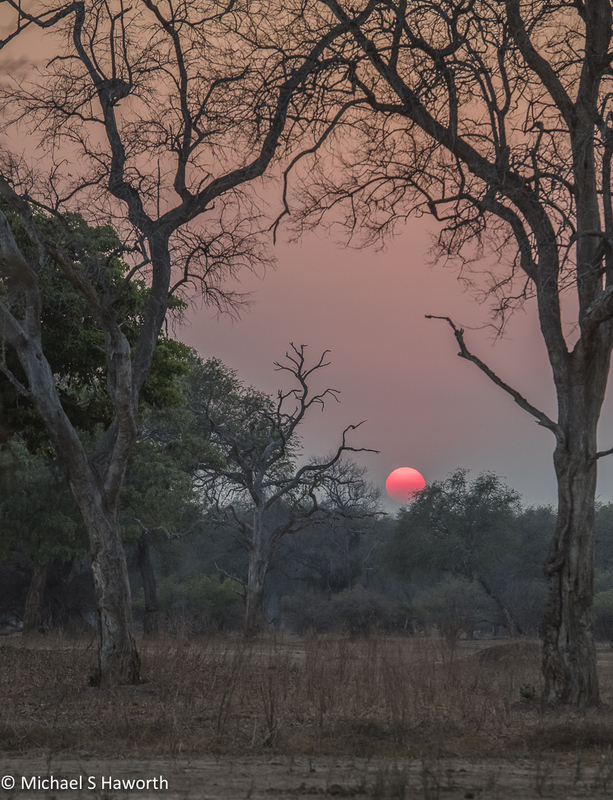 As the evening sets in after the sun has fallen behind the hills on the Zambian escarpment, the colours change depending on which way you look. The blues are accentuated looking east in the opposite direction of the setting sun. Mana sunsets are legendary. It is still hot after the sun has set but there is a sublime stillness and you are bathed in this exquisite beauty cast in pinks, apricots and blues. At times you just have to put down your camera. The beauty is so intense that it can be quite emotional. Other times such as mid-morning, the furnace is heating up and the shadows are finding their way under the trees. The browse line is high because of the elephants. 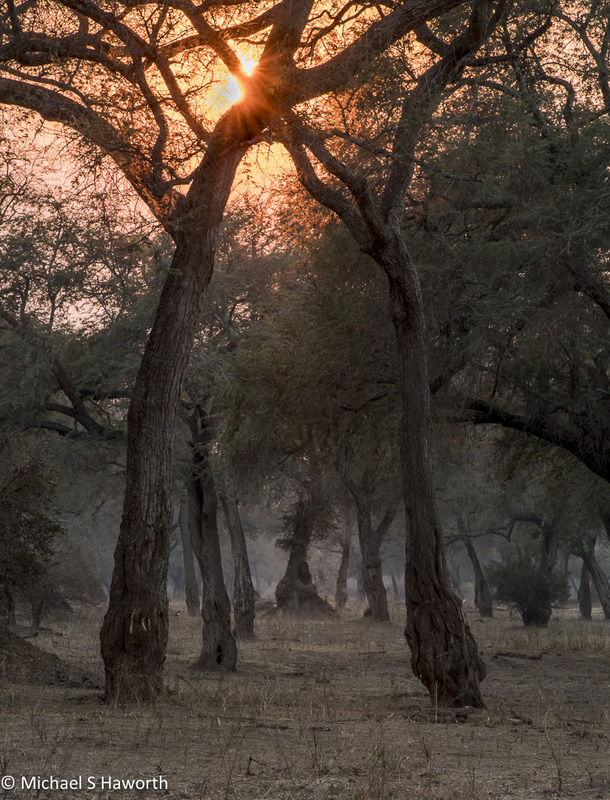 There are no giraffe in Mana Pools. There are two notable species that are not present in the park: giraffe and rhino. 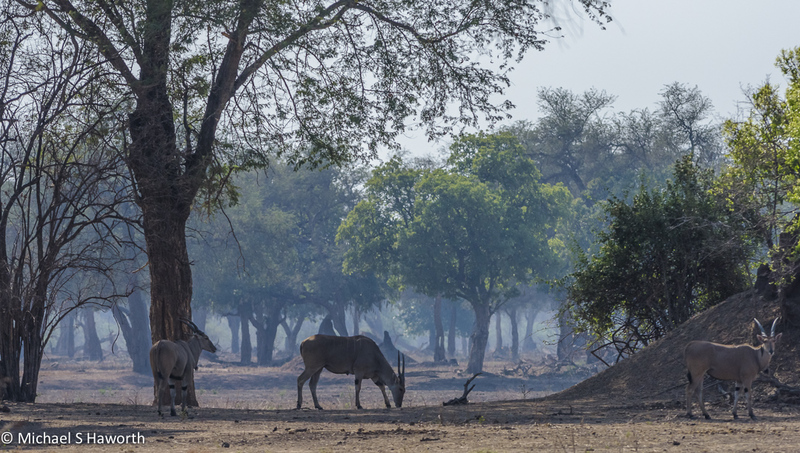 While giraffe have never been present in the area, the eastern black rhino used to have a strong population in Mana Pools. 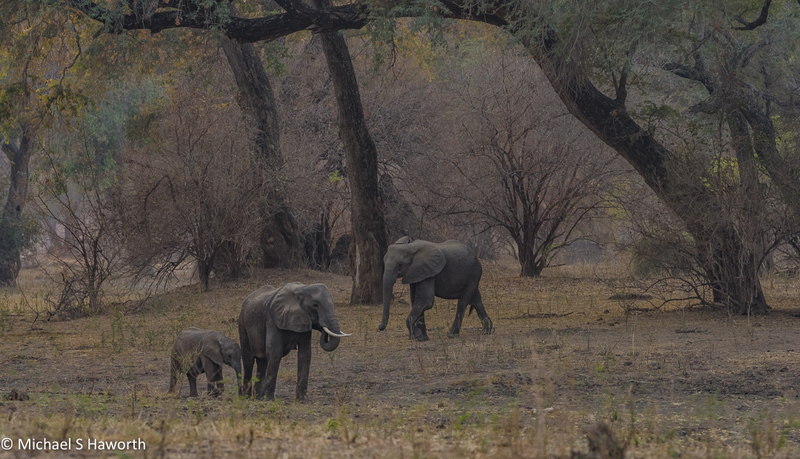 By the mid 1990s, poachers had reduced the population to just ten individuals, which were then transferred to the intensive protection zone within Matusadona National Park, next to Kariba dam. 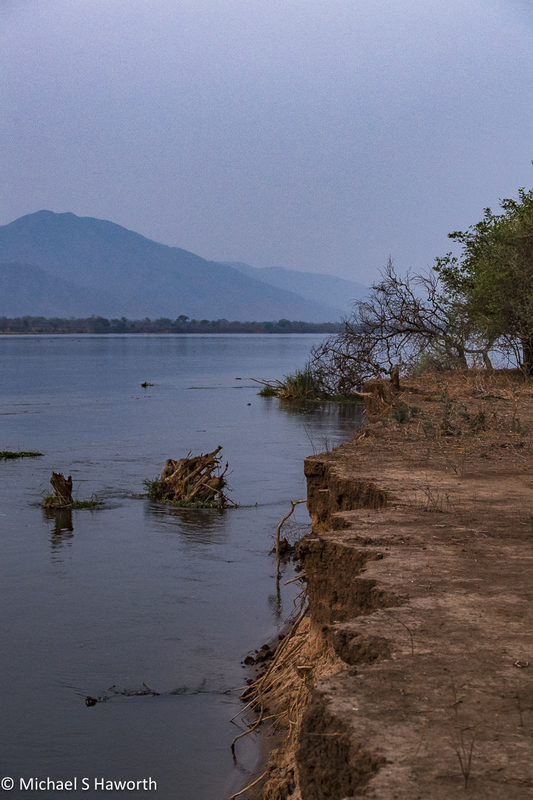 The next image is a scene of Ana trees in the foreground, the river in the middle ground and the hills of Zambian escarpment in the background. The classic “Mana blue” haze in the forest. The time is around 9h00, the sun was already high and I was shooting directly towards the sun. The blue haze has something to do with the direction and refraction of the light. In a discussion over dinner with Barry, an entomologist who worked for many years in Zimbabwe, he suggested that there could be a form of temperature inversion which takes place in the early morning that makes the air denser in the forest creating the refraction. October was mid-spring in Zimbabwe and there were only a few pools of water well inland from the river. 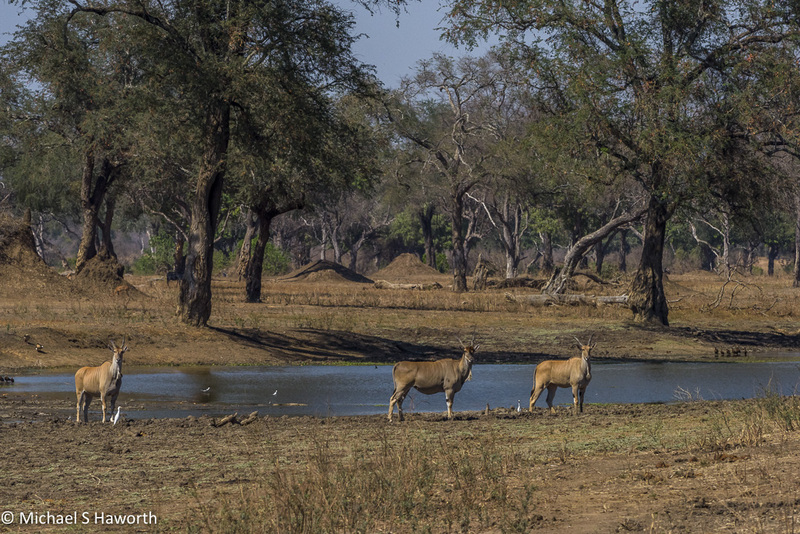 These female eland had come down for a morning drink. The sun had just set below the horizon but the sky was still illuminated. For about 20 to 30 minutes after the sun has set the colours in the sky get progressively more saturated. Some of those saturated colours were reflected in the river. It was a hazy morning and we were wandering through the forest. 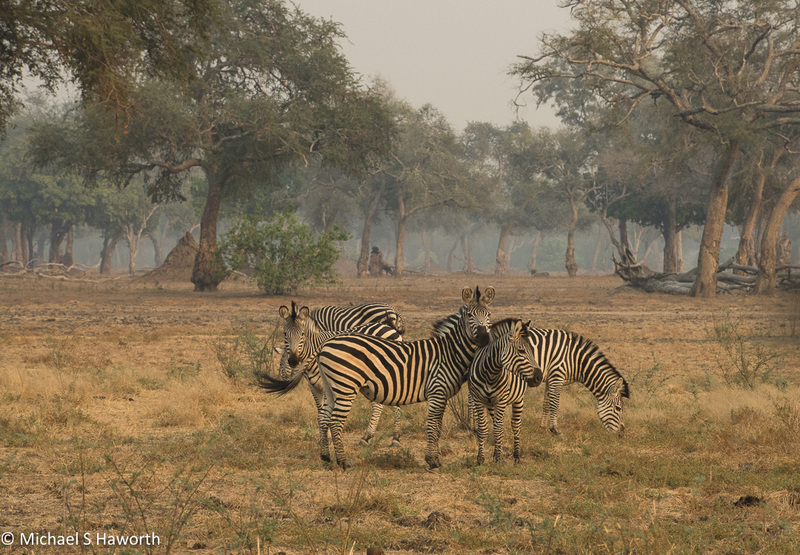 In an opening near Green Pool we found a small herd of zebra. They prefer the open areas so they do not get easily surprised by predators. Further on in the forest the light was very diffused because of the haze. I loved the soft pastel colours which the bush presented. 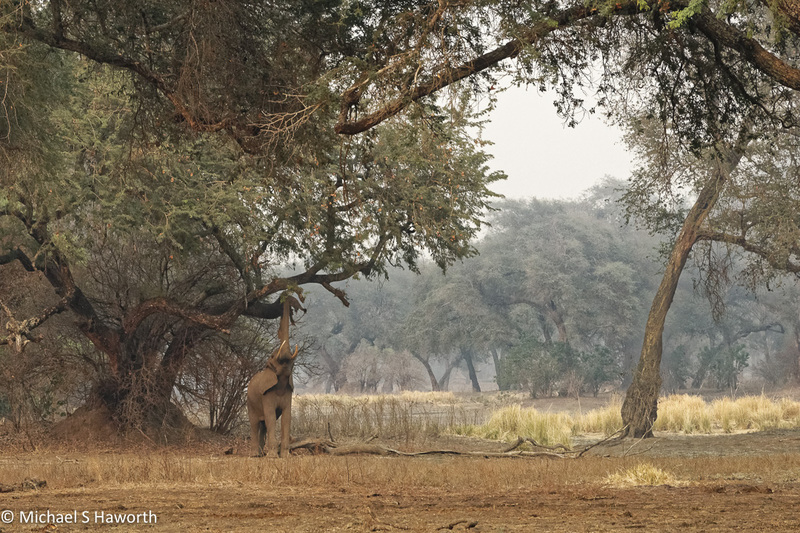 A large bull elephant way making his way unhurriedly through the Albida trees munching on the Albida seed pods. 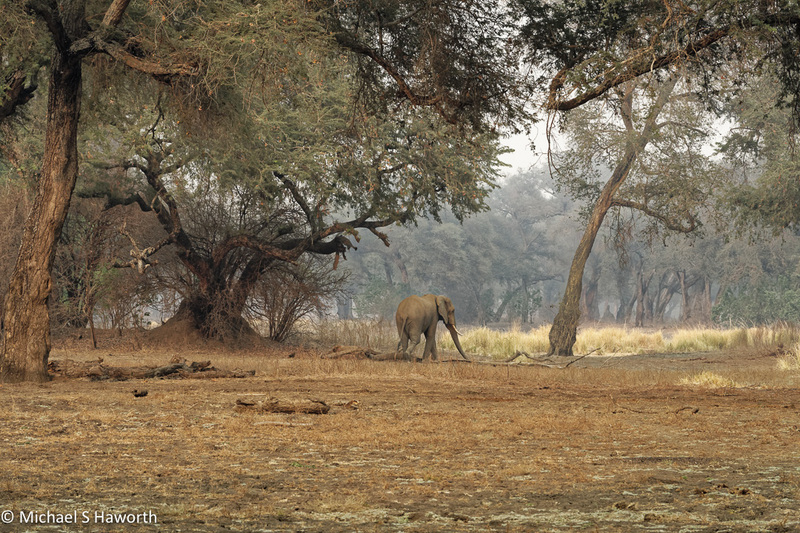 The Albida seed pods are a delicacy sought after by elephants. This bull was stretching up into the tree to access branches with the seedpods attached. 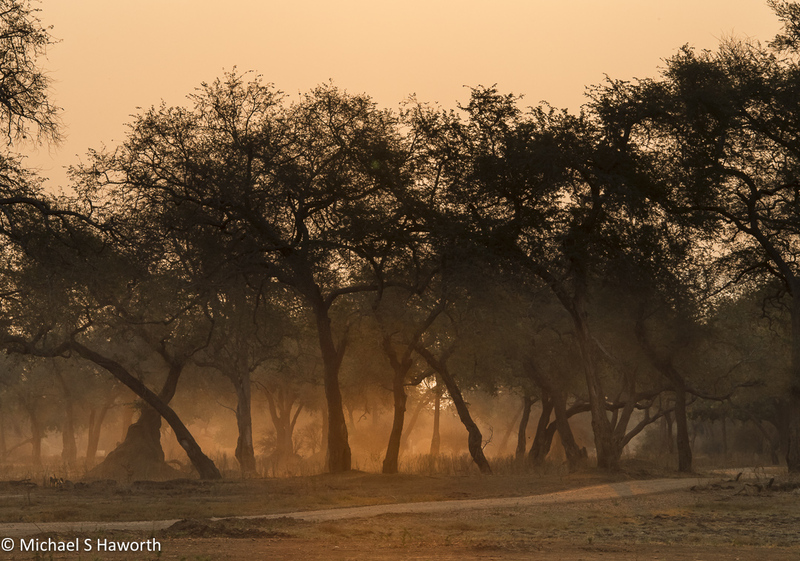 By mid-morning the African sun had already climbed high and usually there was strong contrasting light. This morning the haze softened the light so that it was bright but with low contrast. This next image might not mean much to many, but for those of you who have visited Mana, I am sure it will warm your heart because this is a typical Mana forest scene. All the roads in Mana are gravel or dirt roads and many have sand. 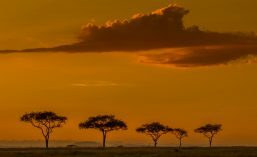 In the late afternoon we were down a Chisasiko pool watching baboons and impala feeding along the edge of the pool when a vehicle drove past stirring up dust in the golden light. Beautifully evocative photographs. I so enjoy your take on your natural surroundings. Your pictures make me feel like I have traveled the world! Beautiful shots.